A new joint album opens a window to a revolutionary era of emerging freedoms in the music industry. 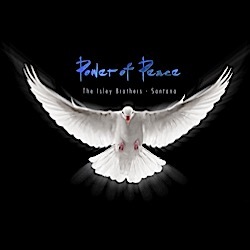 The new Isley Brothers & Santana album, Power of Peace, pays tribute to a crucial but overlooked chapter in pop-music history. Between 1968 and 1976, a group of African-American musicians demanded and won from their record companies the same freedom to tackle new subject matter, new arrangements and new solos that their white counterparts Bob Dylan, the Beatles and Cream had won a few years earlier. The result was an outpouring of brilliant music from the likes of Sly Stone, Stevie Wonder, Marvin Gaye, Curtis Mayfield, George Clinton and Maurice White. One reason this movement is not better remembered is that it never had a catchy name. Maybe if it had been called College R&B, Psychedelic Funk or Woodstock Soul, it might be better appreciated today. Like College Rock, this music was aimed at an educated audience that wanted an honest discussion of war and inequality, more ambitious arrangements and improvised solos. Like psychedelic rock, it used new technology and emboldened instrumentalists to reflect the mental disorientation of the times. And it was at the 1969 Woodstock festival that these possibilities were introduced to a wider audience in the form of memorable sets by Jimi Hendrix, Santana and Sly & the Family Stone. Hendrix and Carlos Santana proved that non-white guitarists could play rock solos as well or better than anyone. But the Family Stone show was more revealing, for it proved that the freedoms enjoyed by Dylan and the Beatles didn’t require rock ‘n’ roll as a vehicle. You didn’t have to play FM/progressive rock as Hendrix and Santana did; you could exercise the same freedoms with the format of commercial R&B and funk. Stone had been a mid-‘60s San Francisco DJ who’d spun records by Dylan and the Beatles and had produced records for the Beau Brummels even as he remained enamored of his childhood’s R&B. He blended those two sounds into something unprecedented. As his brother Freddie scratched out the guitar chords at Woodstock, Sly stood behind his electric organ with afro muttonchops, amber bubble glasses and a white jacket with two-foot fringe. Suddenly he shouted, “I am everyday people,” as if he could dissolve racial and class barriers with such a simple assertion, especially when it was backed up with exuberant horns, guitars and drums. And for the better part of an hour, he could. “I am no better and neither are you; we are the same whatever we do,” Sly philosophized while rotating his pelvis to the groove. When the women behind him wailed, “Different strokes for different folks,” they offered a vision of equality that didn’t require conformity. This wasn’t the Four Tops in business suits dancing to pre-arranged choreography. This was a thousand flowers blooming. Before long, two of Motown’s biggest and most gifted stars, Wonder and Gaye, used their clout to demand control of their own recordings. Their battle was with Berry Gordy Jr., the Motown founder who had created an empire by creating an ingenious formula and sticking to it: The lyrics were clever takes on teen romance; the musicians and producers were jazz pros; the singers were giddy youngsters, and the beat was king. Now Wonder and Gaye wanted to ditch the formula, much like Brian Wilson had largely abandoned surf music. They had to fight the Motown bosses every bit as much as Wilson had had to battle Capitol Records. Sly & the Family Stone circa 1970. Mayfield, as much the king of Chicago soul as Gaye was the king of Detroit, disbanded his harmony group the Impressions and launched his solo career with 1970’s revealing Curtis, followed by the masterful 1972 soundtrack for Superfly. Meanwhile, funk bands such as Clinton’s Funkadelic and White’s Earth, Wind & Fire were discarding the notion that R&B groups were for singers only. It was the Isley Brothers who had given Hendrix a major break by hiring him for their road band and for such singles as “Testify” before turning younger brother Ernie into a lead guitarist himself. 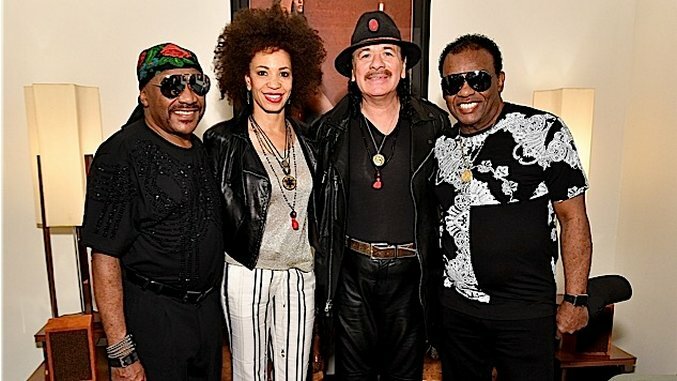 As such, the Isleys helped birth the “college R&B” genre, and now they help us remember it by working with Carlos Santana, one of the few Hendrix contemporaries who deserves a comparison. Playing drums on the new record is Cindy Blackman Santana, an accomplished jazz drummer of the Tony Williams school and now married to Carlos. College R&B is a movement that deserves more attention. It proved that the same tensions between corporate control and creative restlessness existed in black music as in white. And when the creative spirit first broke through, it invented new forms and coalesced new audiences around its impulses. As with all such breakthroughs, however, the best work came early, inspired by the first flush of freedom and discovery before getting diluted by self-indulgence and the vices of celebrity. But its highlights were the highlights of the whole era. College R&B—the province of Sly & the Family Stone, Curtis Mayfield, Stevie Wonder, Marvin Gaye and others—is a movement that deserves more attention. It proved in the late 1960s and early ‘70s that the same tensions between corporate control and creative restlessness existed in black music as in white. The new album, Power of Peace, pays tribute to Gaye (“Mercy Mercy Me”), Wonder (“Higher Ground”), Mayfield (“Gypsy Woman”) and the Temptations’ Eddie Kendricks (“Body Talk”). The Isleys—surviving brothers Ernie and Ronald—and the Santanas also shine a much deserved light on two overlooked acts from the College R&B era: the Chambers Brothers and Swamp Dogg. It’s a welcome reminder that this movement was broader and deeper than its biggest stars. The Chambers Brothers, originally a Mississippi gospel quartet, connected with the white folk-music scene at L.A.’s Ash Grove club, and that got them invited to the Newport Folk Festival. There they met the newly electrified Bob Dylan and followed him onto Columbia Records, where they invented a folk-funk to match his folk-rock. The payoff came on the 11-minute Civil Rights anthem, “Time Has Come Today,” featuring an irresistible guitar lick and the most effective use of a cowbell in pop-music history. Edited to a three-minute single, it spent five weeks at No. 11 on the pop charts. It’s such a perfect emblem of the ‘60s that it has been used on more than 15 movie soundtracks and has been covered by everyone from the Ramones to Steve Earle. But there was more to the Chambers Brothers than one song, and the Isleys include two different tunes (“Are You Ready People” and “Love, Peace and Happiness”) on their new album. These funk numbers built slowly but surely on the momentum of George Chambers’s bass, the guitars of Willie and Joe, and Lester’s harmonica as the massed voices preached of the promised land just ahead. Ronnie and Ernie Isley achieve the same sibling harmonies and muscular bottom on the new versions. The Chambers Brothers broke up in 1976, but Swamp Dogg (pictured left in 2010) is still out there, writing, recording and performing some of the strangest R&B around. Frustrated by the poor pay and rigid formulas of ‘60s soul, Jerry Williams invented the Swamp Dogg moniker in 1970. He released two albums that year: Total Destruction to Your Mind, which celebrated the demolishing of old ideas via wild guitar solos (and whose title track is covered on the new Isleys/Santana album), and Rat On!, which features Williams riding a giant white rat. Such marketing ventures didn’t win the hearts of America’s mainstream record-buying public, but they did endear Swamp Dogg to music nerds everywhere, who prized Williams’s combination of solid songcraft, weird lyrics and weirder arrangements. He demonstrated the diversity of the College R&B scene, which ranged from the unruly wildness of himself and Funkadelic to the slick recordings of the Temptations and Earth, Wind & Fire. Yet the scene remained united by lyrics that reached beyond romantic drama and music that reached beyond dance grooves. But they didn’t score their first No. 1 single till “It’s Your Thing,” with its catchy slogan delivered by singer Ronnie and the funky bottom anchored by bassist/guitarist Ernie. That triggered a string of R&B hits (including soul-music remakes of Stephen Stills’s “Love the One You’re With” and Bob Dylan’s “Lay Lady Lay”) that continued into this century. But the message lyrics and guitar solos were submerged beneath romantic seduction and disco production by the late ‘70s. The whole movement was losing steam by that time. Wonder, who had made 10 studio albums between 1968 and 1976, has made only eight in the 40 years since. Gaye turned from social commentary to the topics of love and lust in the mid-‘70s and was fatally shot by his own father in 1984. 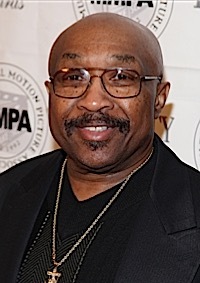 Mayfield shifted his focus from social justice to romance in the ‘80s before being paralyzed from the neck down when a lighting rig collapsed on him during a 1990 Brooklyn concert. 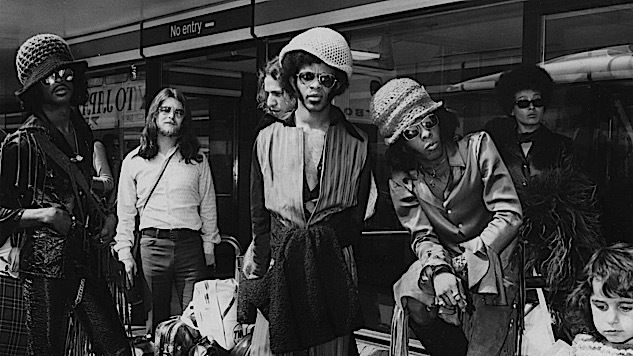 Sly & the Family Stone were falling apart from drug use and feuding by 1974’s Small Talk and never really recovered. The Temptations lost lead singers David Ruffin in 1968, Eddie Kendricks in 1971 and Dennis Edwards in 1978. But it was a glorious era while it lasted. The movement’s best composer was Wonder, its best lyricist Mayfield, its best singer Gaye and its best instrumentalists Bootsy Collins, Eddie Hazel, Bernie Worrell and Maceo Parker of Funkadelic. Its best overall act, however, was the Sly & the Family Stone, the interracial group that had heralded the rise of College R&B with their initially witty and then dark observations on American society reinforced by their emphatic horns, guitars and organ. But they also hastened the genre’s decline by missing shows and releasing tossed-off projects. It seemed that disco had killed off the idea completely by the late ‘70s, when a young kid from Minneapolis named Prince Rogers Nelson popped up to bring it back to life.